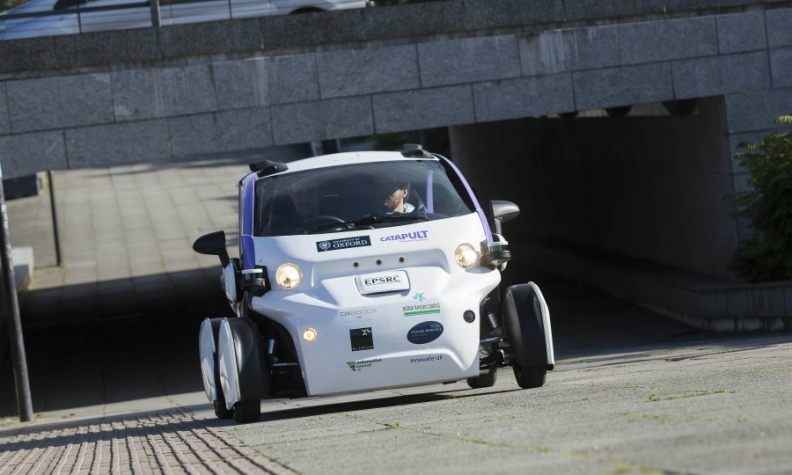 Oxford University spin-out Oxbotica began trials of a Renault-based autonomous vehicle on UK public roads last year. LONDON -- British finance minister Philip Hammond's budget statement this week will include measures to encourage the development of driverless and electric cars, the finance ministry said. The finance ministry said Hammond would announce regulatory changes to the driverless car industry so that developers could apply to test their vehicles on UK roads without a human operator for the first time. He wants fully self-driving cars to be on UK roads in as little as three years. The announcement comes as Jaguar Land Rover reported Friday that it is conducting tests of autonomous vehicles on UK public roads. This follows tests last year by Oxbotica, a spin-out by Oxford University, which began trials of a Renault-based autonomous vehicle on UK public roads. The ministry said a new 400 million-pound ($530 million) charging infrastructure investment fund would also be created, improving access to finance for businesses to develop charge points across the UK. Also 100 million pounds would be provided in grants to help people buy EVs. Hammond is under pressure to turn around the fortunes of Prime Minister Theresa May with Wednesday's budget, but with Brexit weighing on the economy he has limited options. Measures to drive technological improvements would chime with his desire to improve UK productivity, which is growing very slowly, and create high quality jobs.